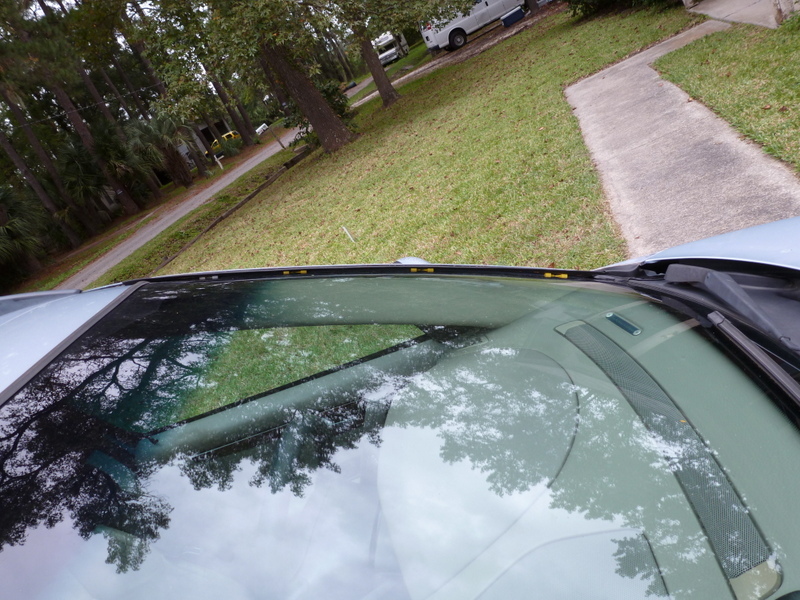 I've searched other forums without luck for info on where to get exterior rubber windshield trim to replaced my cracked and broken trim. You can get the trim from the dealer but you will pay over $200. I ordered the Corner Pieces and spare clips from IPD and just installed this. I couldn't find the tubing like 9Dawgs used on his repair over at the VolvoXC site post. 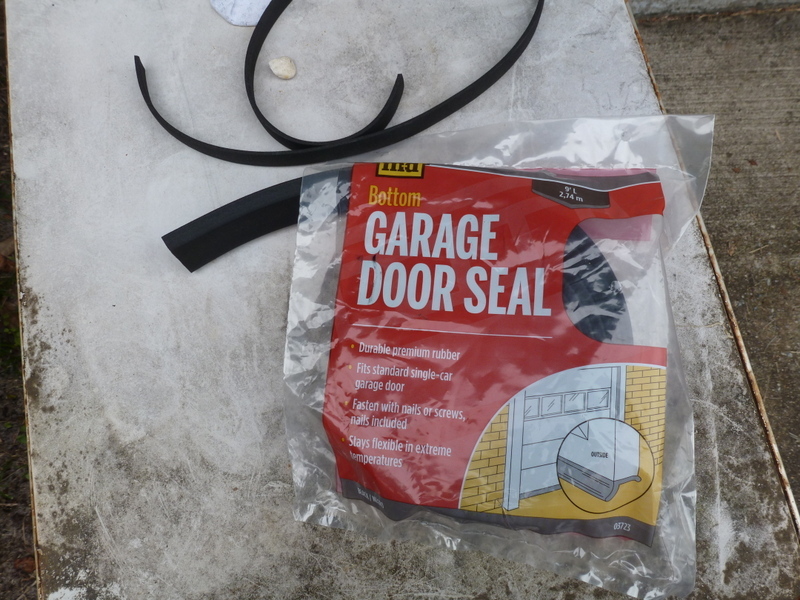 So used a rubber Garage Door seal from the Home Depot and cut it to the needed width. 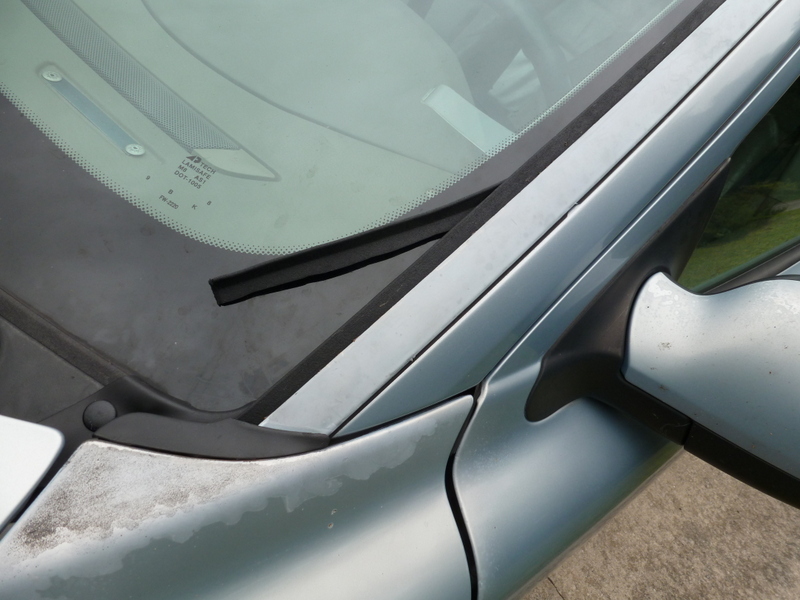 The Trim I cut to 5/8 inch width, could have cut to 1/2 inch the windshield wiper touches on the left passenger side. I removed the old rubber from the trim strips using a razor knife. Then glued the new on with contact adhesive. After the trim was installed I could see the clips under the trim easily. I cut an additional strip from the rubber seal and tucked it in under the trim to close this out. 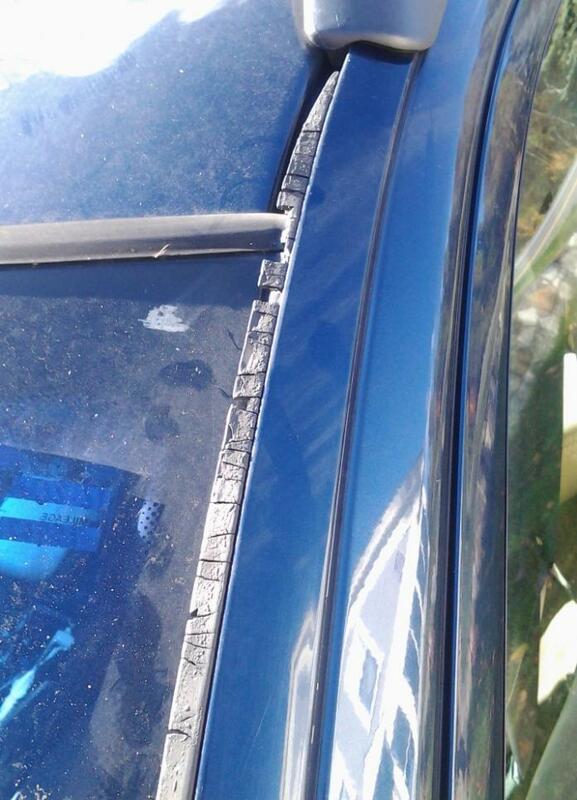 That may interfere with the water draining down the side of the windshield but it shouldn't cause a problem. I'm not sure how UV resistant the rubber seal is going to be. Cost on it is about $9 for a 9 ft length which is more than enough to replace both sides. Nice job of repairing the windshield trim. My question is: Are these pieces for appearance only? I don't think the windshield will leak, correct? 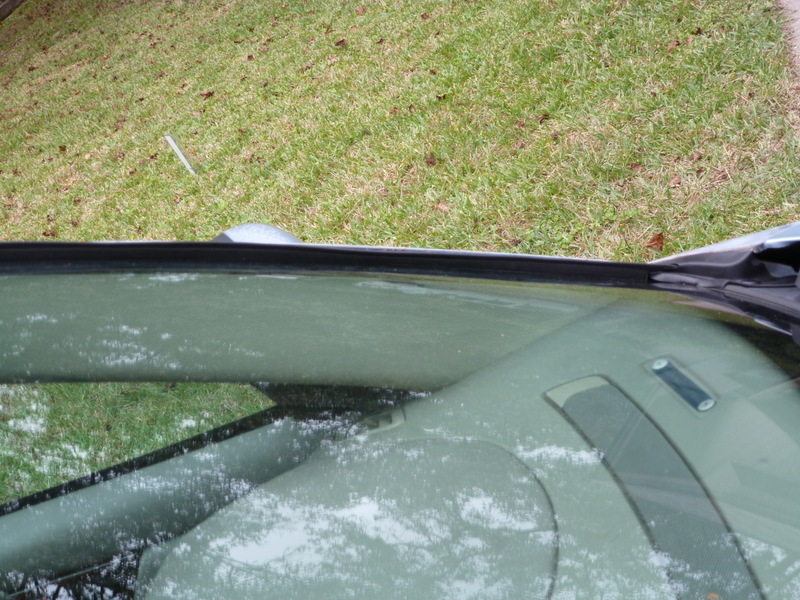 The windshield is sealed by the gasket between the windshield opening and the glass, correct? I would like to fix the trim rubber and the corner pieces like is shown here but just want to know whether it will develop a leak as the trim rubber piece slowly disappears. That's right. The side pieces are appearance only. And it won't develop a leak from the rubber degrading. It just looks horrible when the rubber becomes cracked. 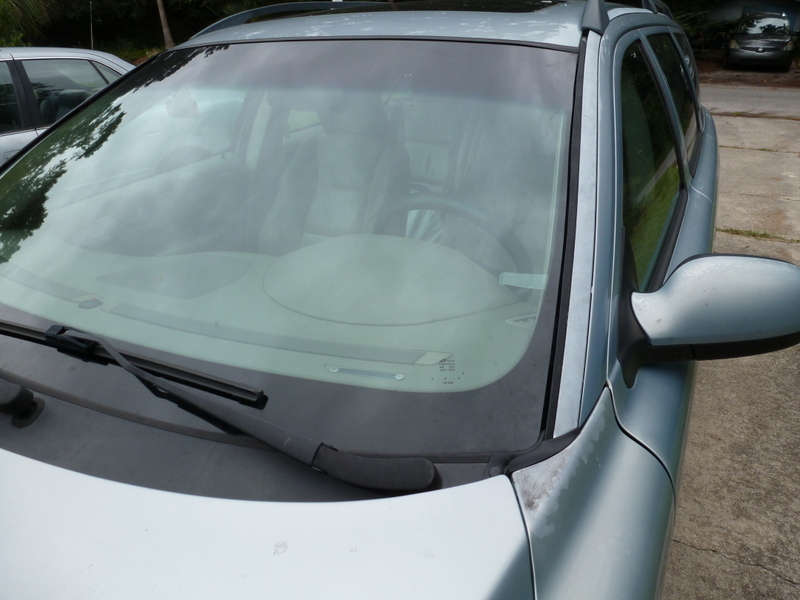 The windshield is actually installed with sealant under the edge of the glass.